Stop by Paul Dannecker’s booth at the next Sugarloaf Craft Festival if you’re looking for hand-crafted silver jewelry that’s as versatile as it is beautiful. Dannecker hails from Troutman, NC, where he forges a collection of high-quality gold and silver necklaces, earrings, rings and more for the discerning jewelry-lover. Dannecker’s twisted metal designs are often complemented by attention-grabbing semi-precious stones that are hand-picked for each piece. Dannecker offers a collection of signature twisted silver jewelry featuring high-quality sterling silver and freshwater pearls. 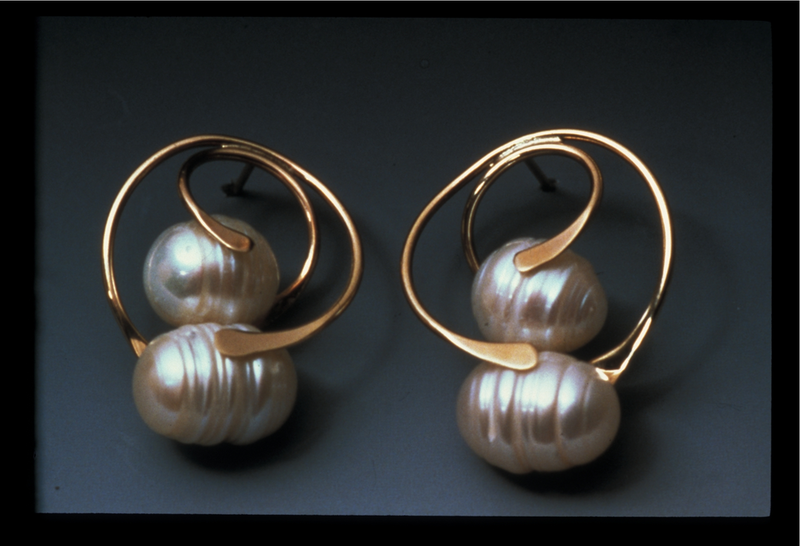 Dannecker’s skill at making the metal dance alongside the pearls — almost as though they’re floating in thin air — makes each piece a genuine work of art. Sugarloaf Craft Festivals hosts multiple annual art and craft shows throughout the Mid-Atlantic region each year. Be sure to visit our schedule to find an upcoming show near you!